By 2025, Munich plans to be the first metropolis in the world to be entirely self-sufficient in renewable energy – thanks to the power of offshore wind. Are you interested in renewable products made by Siemens Gamesa such as those used for DanTysk? Are you looking for intelligent solutions to get more out of your project? Please do not hesitate to contact us. One of the most important economic centers in Germany has taken a leap into the future with what could be a tremendously important benchmark for energy use in Europe. 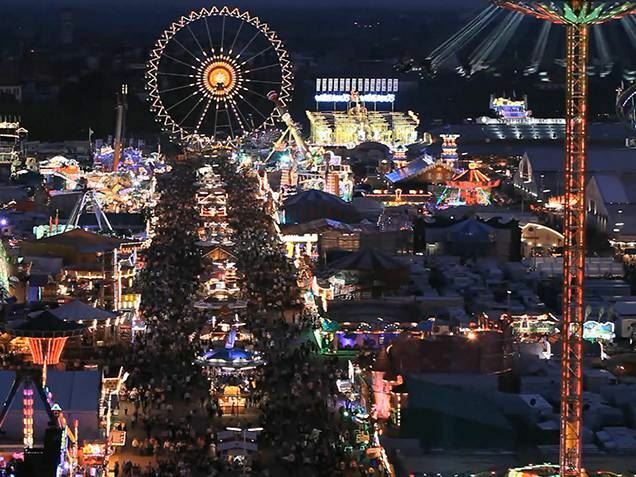 Munich, the capital of Bavaria, Germany, has 800,000 households as well as industrial firms, streetcars, and subways that together consume 7.5 billion kilowatt-hours of electricity every year. And the city has set an ambitious climate and environmental protection target: By 2025 it wants to be the first city in the world to cover its entire electricity needs by using renewable power – from its own systems. Stadtwerke München (SWM), Munich’s public utility and Germany’s largest municipal energy provider, is adopting an entirely new approach as part of its renewable energy expansion campaign. The company started with activities in Munich and the surrounding areas – but it soon became clear that it needed to expand the project to a broader, European level. 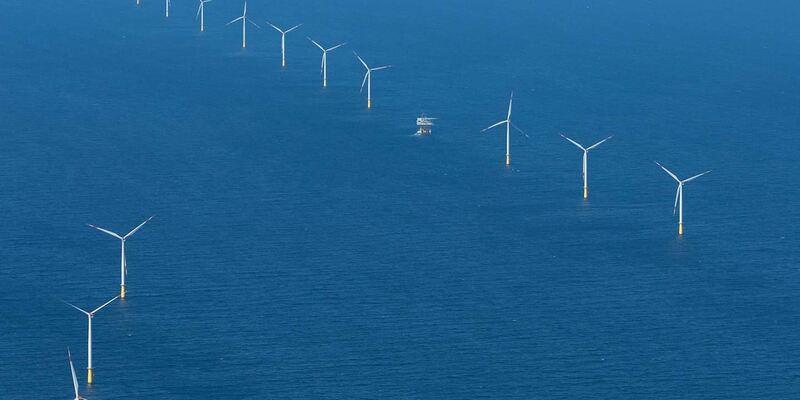 An offshore wind farm emerged as the clear solution to the company’s goals because it is an area where significant progress can be made with individual projects. SWM’s systems are taking shape where the best use can be made of renewable power on a large scale – as there is no need to generate electricity in the immediate vicinity of where it will be consumed. Instead, it simply needs to be fed into the supraregional high-voltage grid. 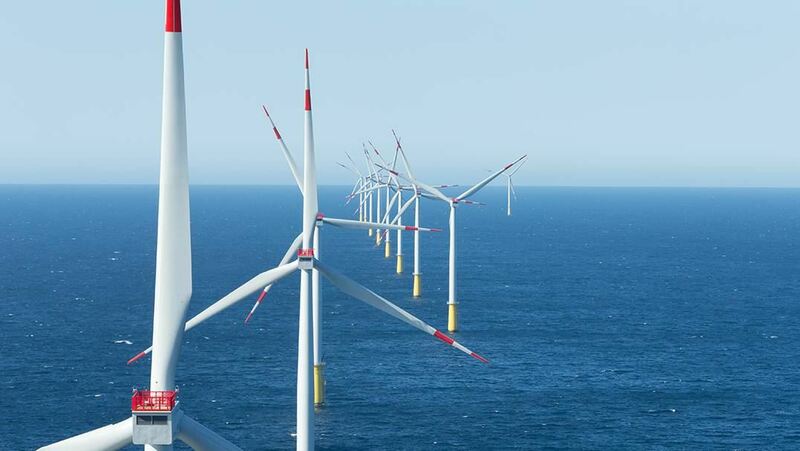 One example of how this is being applied is the DanTysk wind farm installation, 70 kilometers west of the island of Sylt, where a total of 80 3.6-megawatt (MW) wind turbines generate 1.3 billion kilowatt-hours (kWh) of electricity per year. The systems were installed in 2014 and the offshore wind farm sent its first power to shore in December of the same year. It became evident that wind was the most suitable form of renewable energy for our purposes. 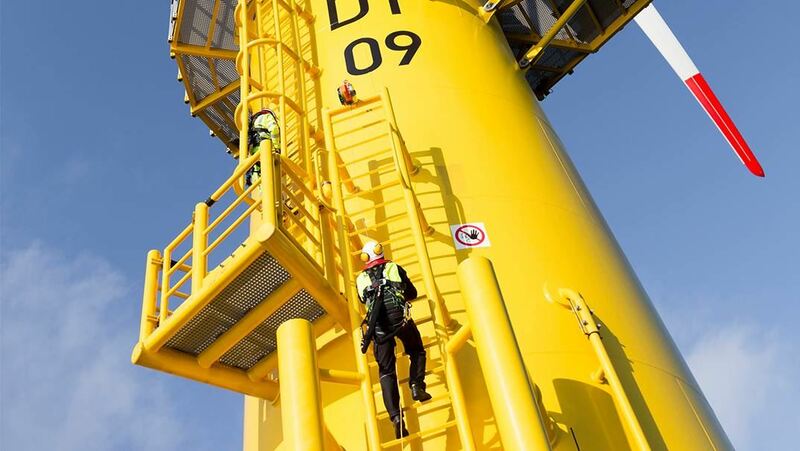 The DanTysk wind farm, operated as a joint venture between Vattenfall and SWM, is one of the largest German offshore wind installations in the North Sea. 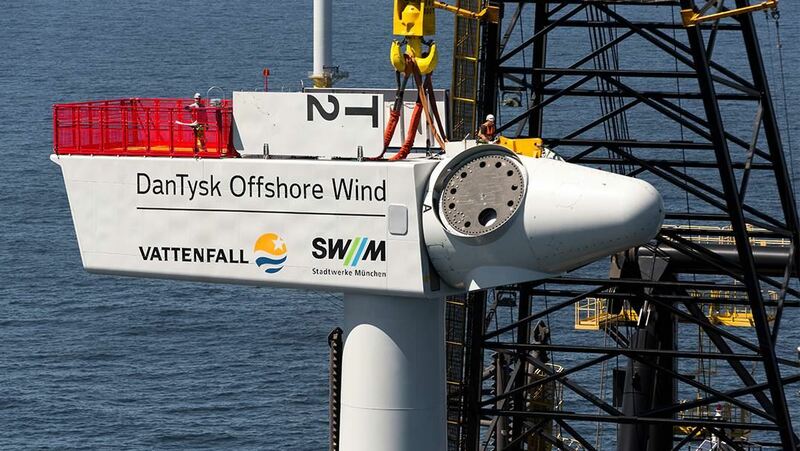 Vattenfall is one of Europe’s leading energy companies and, like SWM, the company is convinced that offshore wind farms are important to provide green energy for the future. When the organization enters into major projects, especially those involving unfamiliar technology, Vattenfall chooses experienced partners, which makes a substantial difference to the project’s outcome. SWM believes likewise and therefore actively fosters relationships with business partners. It aims to achieve “win-win situations” for customers, suppliers, and partners. When approaching the development of DanTysk, all partners agreed that working together for sustainable rather than short-term results was key. 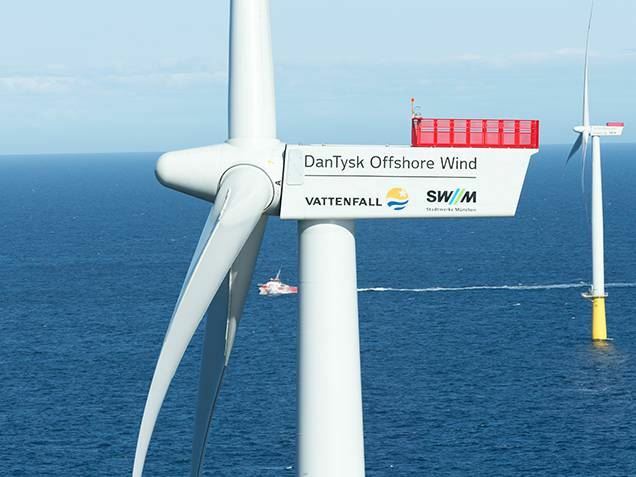 Even the name of the DanTysk wind farm project reveals its partner-based, international nature: DanTysk is a compound of “Danmark” and “Tyskland”, the Danish words for “Denmark” and “Germany”. A versatile supplier was needed for the DanTysk wind farm to be a success: a supplier capable of mastering complex offshore construction projects that also offered a wind turbine and maintenance solution to satisfy all operational and service requirements. In choosing a suitable partner to supply turbines, the determining criterion was not just the quality of the technology itself, but also experience, performance ability, and reliability. That’s why the consortium opted for Siemens Gamesa’s SWT-3.6-120 wind turbines. 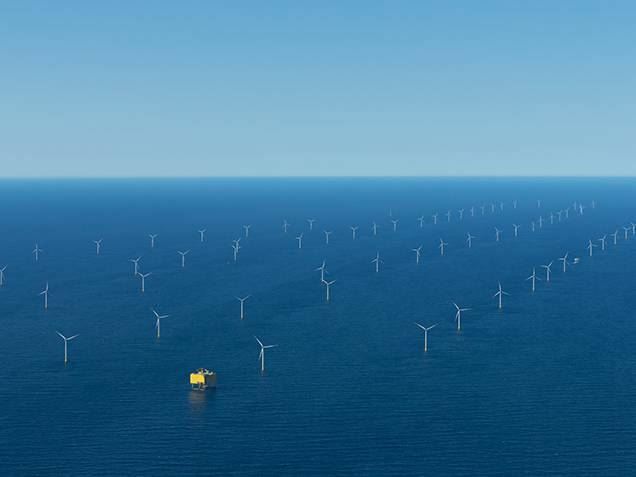 In the offshore wind industry, the company has earned a reputation for having the most reliable technology – with a total installed capacity of over 11 GW by the end of 2017 and experience since 1991 on which the industry has been able to depend. In addition, Siemens Gamesa provides a five-year service contract covering all maintenance and installation work. The energy generated by DanTysk is fed into the grid in Büttel, in Schleswig-Holstein, over 800 km from Munich. Even so, electricity customers in Munich still enjoy the benefit of sustainably generated electricity. “The electricity that consumers draw from the socket in Germany reflects the mix of power that exists in the country today. It includes both conventional and renewable energy. The more renewable energy fed into the power network, the more there is to reach the consumers, and the less conventional energy is both fed in and consumed,” explains Vattenfall’s Groebler. This also means that SWM can substantially decrease the amount of conventional electricity it feeds into the grid. “Our share, just under half of the electricity that is generated, is enough to supply about 250,000 households in Munich,” explains Bieberbach. Overall, DanTysk can generate enough green energy for up to 400,000 households in Germany. Several gigantic rotor hubs wait to be shipped in Esbjerg. 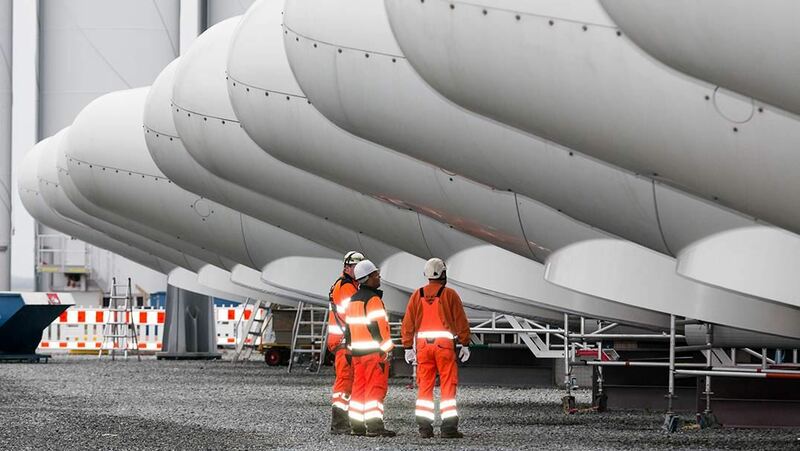 Also ready for shipping in Esbjerg: the wind turbines’ nacelles. 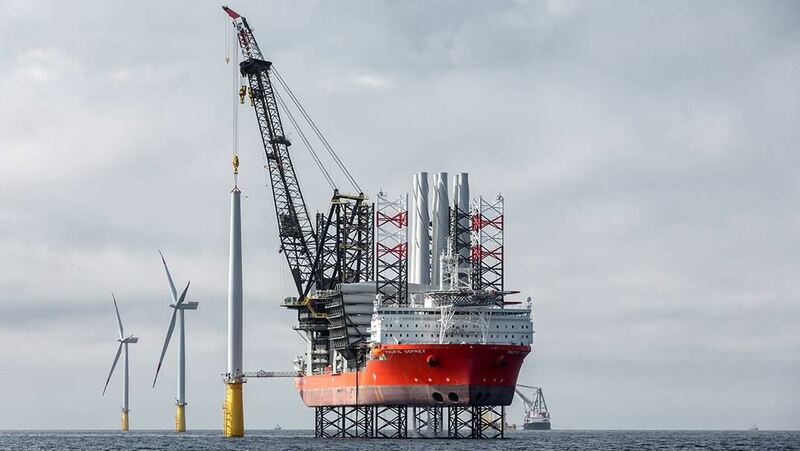 A special offshore wind farm construction vessel is required to erect the towers of the wind turbines on the foundations, which are firmly anchored to the seafloor at a depth of about 20-30 meters. 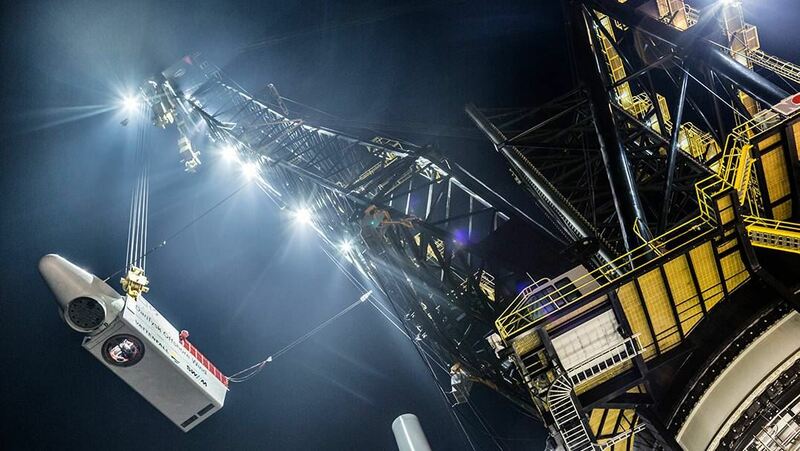 The Siemens Gamesa SWT-3.6-120 wind turbines, erected on monopile foundations, reach a total height of 148 meters. 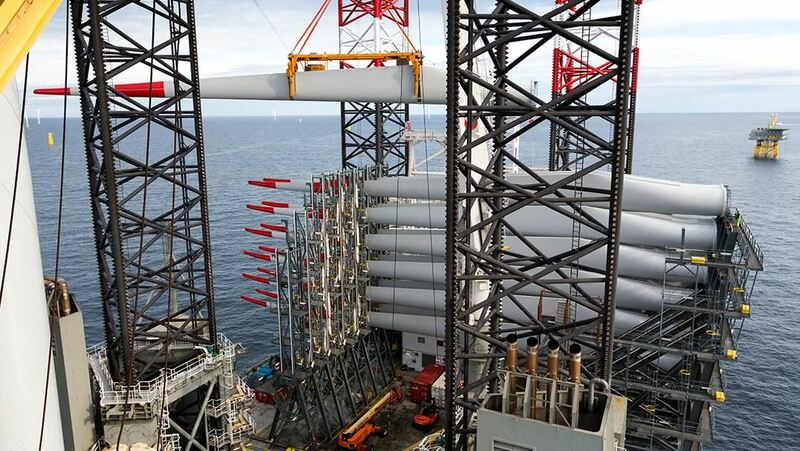 The 58.5-meter rotor blades of the Siemens Gamesa wind turbines wait to be assembled on the offshore installation vessel. To ensure that the project is completed swiftly, work continues around the clock to construct the DanTysk offshore wind power plant. A nacelle is being installed here. 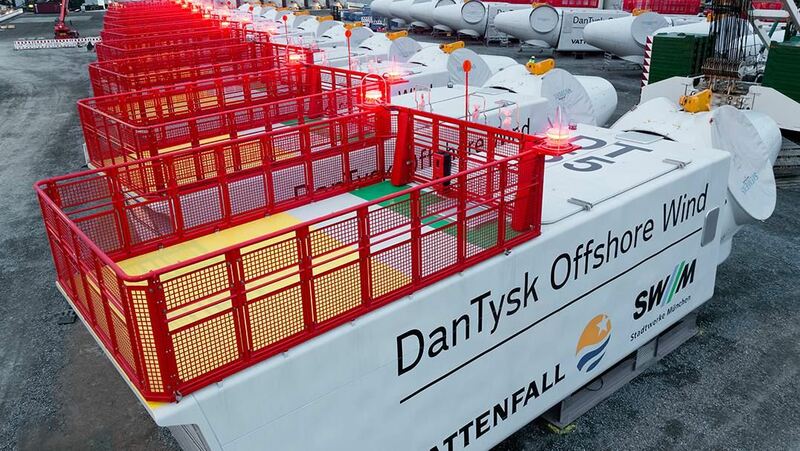 The DanTysk offshore wind power plant, jointly operated by Vattenfall and Stadtwerke München, supplies electricity for up to 400,000 households in Germany. By 2050, the proportion of electricity generated from renewables in Germany is expected to rise from its current level of 23 percent to 80 percent. Offshore wind has a major part to play in this. Because the wind on the open sea is comparatively strong and constant, wind power plants constructed there are able to compete with the capacities of conventional power stations. This is why 6.5 GW of offshore wind farm capacity is planned to be built in German waters by 2020, to be followed by an additional 8.5 GW by 2030. Germany’s economy also benefits from this development: More than €3 billion was invested in 2017 alone in production facilities and infrastructure for offshore wind, and over 27,000 people work in the sector (BMWi 2018). 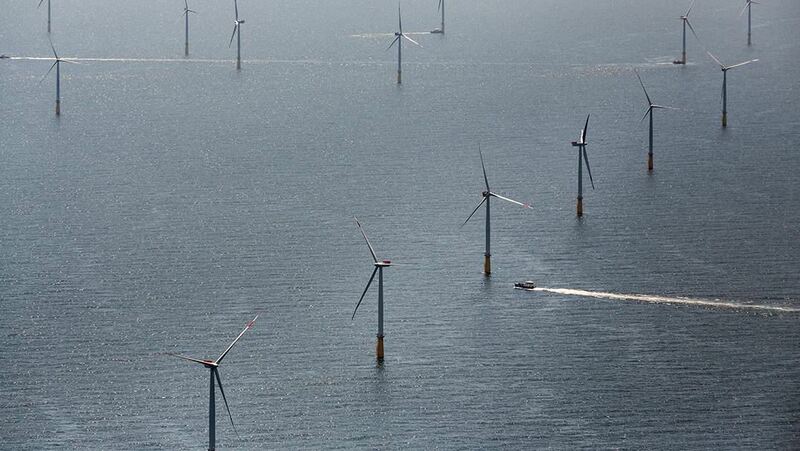 Offshore wind power thus provides key economic stimuli as well as making an important contribution to the success of the German energy transition. Since installing the world’s first offshore wind turbine in 1991, we have continued to innovate in harsh marine environments. Offshore servicing does not have to be complicated: Our service operation vessels are a flexible and thereby cost-reducing alternative. Vattenfall and Siemens Gamesa are working together on 3 offshore projects in Denmark that are due to be completed in 2021.